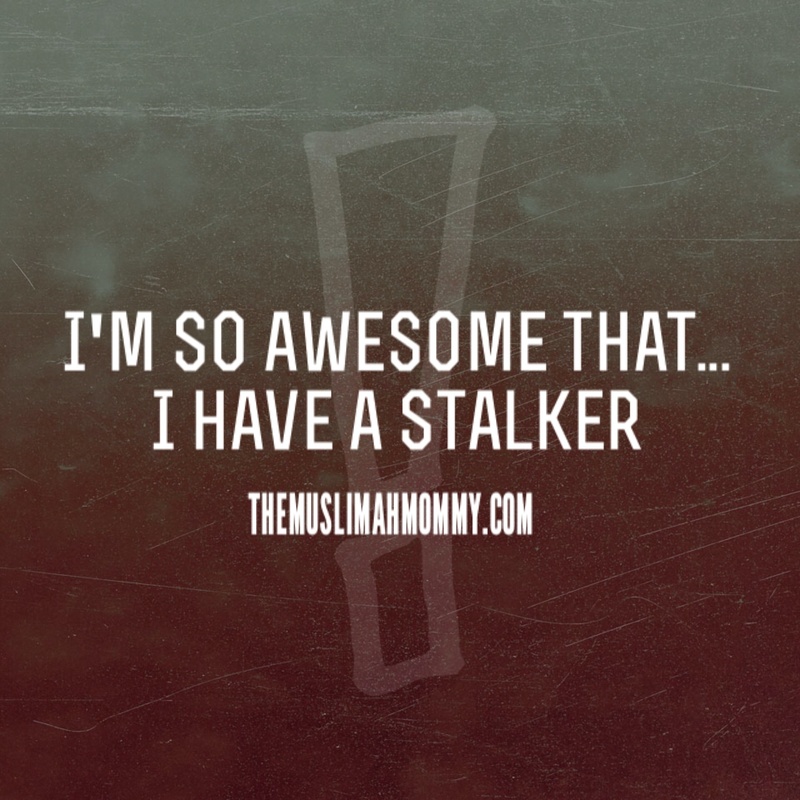 Home » Stories & Experiences » I’m So Awesome That…I Have A Stalker! I’m so awesome that I have a stalker! This stalker follows me everywhere, and doesn’t leave my side. He knows where I’am at every time of day, and to say that he is obsessed with me would be an understatement. And guess what? I wouldn’t have it any other way because this stalker is my very own handsome baby boy! Now, some people might accuse my son of being too ‘attached’ and ‘clingy,’ but these people don’t realize that this behavior has nothing to do with him; and that it has everything to do with me and my AWESOMENESS! You see, my son recognized he had a fantastic mom at a very young age, in fact he was only a year old when he showed signs of this knowledge. Hey, some people may call it separation anxiety disorder, but I prefer to call it making-sure-your-fabulous-mom-is-with-you-day-and-night disorder. And yes, there is such a thing, my son had it, so I should know! The disorder starts at about 14 months when your baby, like mine, suddenly decides that he doesn’t want to sleep in his crib anymore. Instead, he wants to sleep in his infant rocker. Yup,the same infant rocker that he grew out of months ago! With you rocking the rocker. The. Whole. Entire. Night. Oh, and as soon as you stop rocking the rocker, he opens his eyes, just to make sure you are still there, and as a signal for you to continue rocking him! During the day, my son will stalk my shadow wherever it goes: if I go upstairs, he goes upstairs as well, and if I go into the kitchen to get a drink of water, he will drop what he’s doing and follow me into the kitchen. Even if I go visit family or friends, he’s still stalks me by walking right behind me. The. Whole. Entire. Visit. He will even leave his own plate of food, just to eat from my plate. Sure, both of our plates consist of the same exact food, but come on, mommy’s plate has food on it that makes her extra special, OF COURSE! My son’s obsession with me carries on into the night as well: He will wake up in the middle of the night crying and screaming because I’m not by his side. Usually, the commotion doesn’t stop until I put him into bed with me. So, now you know who my stalker is and why he stalks me! If you too have a baby like my son, and people label him or her as ‘clingy’ and ‘attached,’ politely let them know that this behavior has nothing to do with your baby, but it has everything to do with the fact that YOU ARE AWESOME! Here’s to all the awesome mom’s out there, you all rock! I love the way you’ve captured the whole concept of a clingy child. My second daughter is my stalker. It’s exhausting but like you say us moms are awesome and our children want to be loved 24hours a day.